A review of the Commercial Travelers Mutual Health Insurance Company finds that the company’s true name is Commercial Travelers Mutual Insurance Company. Although the company does not have “Health” in its name, it does offer some types of health insurance coverage. Type your zip code into the box above to compare health insurance rates from several different companies in your area. 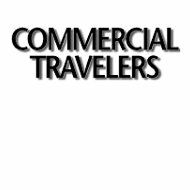 Commercial Travelers touts itself as the oldest accident and health insurance company in the United States, having been around since 1883. Not surprisingly, the company began as an insurance company for commercial travelers, or traveling salesmen. Commercial Travelers is licensed to sell insurance in all states except Hawaii. Commercial Travelers was founded by a British tea salesman named Edward Trevvett, and 49 other traveling salesmen, as a mutual accident association. The men joined together because they had a difficult time getting insurance, since their traveling job was considered risky. The very first claim was paid to man in New York City who was injured in a crowd witnessing the opening of the Brooklyn Bridge on July 4, 1883. Within two years, the group had swelled to 1,000 policyholders. The group grew quickly through grassroots marketing and by rewarding current members who signed up more members. Commercial Travelers grew to 200,000 policyholders by 1937. As the company expanded, it changed its focus from disability insurance for traveling salesmen to hospital indemnity insurance for everybody who needed it. As the years went on, Commercial Travelers Mutual Insurance Company expanded into more states and offered more products. It added life insurance in 1979, and in 1983, a century after it began, the company signed its millionth policyholder. Commercial Travelers set up CTGroup to handle its life & disability policy customers. The company has been offering disability income protection since it started back in 1883. CTGroup offers group term life insurance, as well as short, intermediate, and long-term disability coverage. For insurance purposes, groups can be as few as two employees. In addition to its disability coverage, Commercial Travelers’ additional non-standard health insurance is accident and risk coverage for students, schools, and colleges. While the company promises to tailor coverage to a student’s needs, the basic K-12 plan insures a school student from any in-school accident. Medical expenses are paid, up to a maximum of $25,000. Parents can choose to extend that plan to an Around-the-Clock plan, which covers a student all year, whether they are in school or not and whether the accident occurs in school or not. Most school sports are included in both plans, although parents will need to purchase additional coverage for football. There are additional options to add coverage for field trips and school travel. Youth and adult group – includes groups such as 4-H, church groups, Boy Scouts and Girl Scouts; offers coverage when they are participating in a policyholder-sponsored activity. Depending on the type of claim you need to file, Commercial Travelers has forms for you to download from its website, complete, and mail to the company. Because their policies are health-and medical-based, you will also need to download and complete a HIPAA form. Should you have any questions on the forms, you can contact a Commercial Travelers agent via email or phone. Looking for individual, and not group, health insurance? Please type your zip code into the box below and we will be glad to provide you with health insurance quotes from providers in your area. I went through Travelers ONLY because they were the company my car insurance company had available for renters insurance. I went through a nightmare with the rental company. I couldn’t get anything fixed the five years I lived there and I couldn’t afford to move . Finally, I could. Once I left, I left everything in great shape.. After six years, there was maybe $400 worth of damage. A rep from this company contacted my roommate and spoke to them about a claim when they were NOT authorized to and went to see my rented space over a MONTH after I Left..It looked NOTHING like I had left it. And then they proceeded to give my new info to my old rental manager (even though I specified NOT too because they had been harassing me for months). And in the end, they paid over $1000 from my insurance that was not due for new tiles and cupboard (when they were no different than when moved in). I’ve never been so upset with an insurance company before. I never would’ve had them if it weren’t for Geico partnering with them but I’ve now gone to a different company and I’m speaking with lawyers. They were so hasty to speak to people who weren’t authorized on my account and released private information and never asked a question about authorization (Because they didn’t care) and then passed my personal info around like it was their own. Also contacted the FTC which I recommend anyone else with issues do as well. Just an AWFUL company with no moral whatsoever .